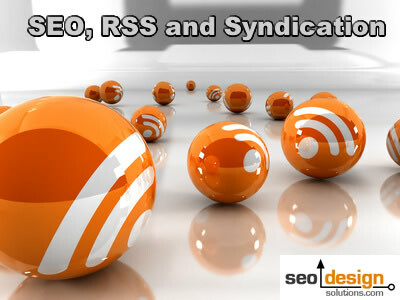 Aside from SEO (Search Engine Optimization), which delivers a different type of traffic, RSS feeds (RSS stands for really simple syndication) have the ability to broadcast your message very similar to a press release to attract a broader array of prospects to peruse your content, products or services. Before there is a sale, a process of qualification occurs unconsciously in the mind of prospects. Much like a crude form of due diligence, showing consumers a lighter more educational side of your business is something that that sales pages rarely accomplish; which is why having content for consumption within your website is a pure win / win strategy for marketing your products or services. Nothing happens without user engagement online and regardless of which step is the first you need to build rapport with prospects. Finding qualified prospects (someone who clearly interested in your offer) is the entire purpose of marketing in the first place. Really simple syndication has a way of accomplishing this, in addition to having the ability to generate links to your website as a side benefit of the process. Both (user engagement and links) are instrumental for infusing your website with the appropriate ranking factors that will benefit long-term branding and search engine positioning. With access to information reaching unprecedented heights, those who embrace the current can find themselves with more free exposure deliberately than a full scale PR barrage which would have costs tens of thousands of dollars in comparison to traditional marketing. Through combining a concerted effort of (1) RSS syndication (2) press releases and (3) article marketing and (4) email marketing; a virtually unknown website could attract and array of (a) traffic from a variety of sources (b) enough co-citation to be considered a major player as a result of peer review (c) and a loyal base of consumers to test and refine your value proposition on using A/B split test in Google website optimizer to refine conversion. For the cost of content and some degree of technical prowess finding a fresh barrage of prospects for lead generation, webinars or expanding your online exposure to drive more traffic to your preferred landing pages has never been more clear-cut and precise. RSS feeds and the power of syndication represent an unparalleled opportunity to create exposure for your business. Since the introduction of RSS (really simple syndication) a company with a message (if they understand the value of keyword research) can topically craft information in high demand and acquire news worthy status naturally across the various aggregators that feed universal search. What this means is (a) you have the ability to create ripples of attention and exposure that would otherwise keep your message isolated and localized to your immediate /direct traffic / audience and (b) the likelihood of acquiring backlinks from a variety of sources (which increases your search engine result page visibility in addition to developing domain authority). I have seen some go as far as having feeds in various countries to create a more robust array of links, which in some ways may be overkill, but it all depends on your ultimate objective. Since there are different types of traffic (1) direct traffic (2) search engine traffic (3) traffic from RSS feeds and (4) referrer traffic from other sites, each type of individual will have a slightly different reason for visiting your site to begin with. If your message makes a favorable impression then one of many positive things could occur such as a new prospect using your commercial services, bookmarking or socially bookmarking your website or subscribing to your feed, them passing it along to others (to create a viral effect which can snowball into more links, exposure, etc.) or them leaving with the emotional seal of approval in contention to your brand. All of which are favorable outcomes that essentially expand your base from a strategic standpoint of marketing which can increase the bottom line. Businesses pay for exposure and based on how they translate that exposure into sales determines the ultimate ROI (return on investment). Hence, if your cost is divisible by research time, the amount of time orchestrating or developing enough content for deployment and syndication you can essentially scale your conversion tactics and refine which value propositions have the highest degree of engagement. Essentially putting your best foot forward to greet the new traffic as the attention funnel expands. Or if you are running WordPress, Holly Mann has a great tutorial on how to segment your RSS feeds using the atom publishing protocol which is already built into WordPress to gain maximum impact for every post you publish. Her resourceful post is located here Creating WordPress RSS Feeds using Categories for those of you who can’t wait to pop the hood of this powerful CMS and implement the power of RSS. In closing here is a list of aggregators that will “promote your content” after they are “pinged” notified from the your content management system. For example, in WordPress just enter your dashboard and then go to Settings>Writing> then add this to the list of update services then save changes. After that, each and every time you publish content, it will then ripple across the web using the aggregators below. As always, thanks for visiting the SEO Design Solutions Blog, your source for SEO Tips, Tactics (SEO Services) and Techniques. Hallo thanks for the Great List, any search for a list like this. I saved it just now and hope it will be an great effect. Glad you enjoyed it Thomas…All the best! Sure thing Ambreen, appreciate you passing it along…. We’ve maintained Google Base product feeds since 2004, but recently were told to pursue RSS feed syndication for our 8500 products. I think of blogs when I think about RSS feeds. If we syndicate a product RSS feed, does it need to include blog-like text for each product?